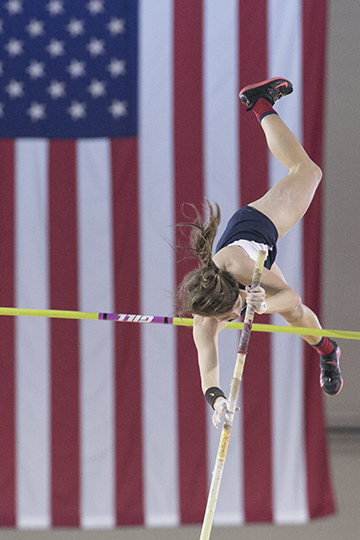 Samford University athletics is preparing to host its second Southern Conference Indoor Track and Field Championships in as many seasons this upcoming weekend while also working with the Birmingham CrossPlex to host the 2016 NCAA Division I Indoor Track and Field Championships March 11–12. The SoCon Indoor Track and Field Championships will take place Feb. 26–27 at the Birmingham CrossPlex. Samford’s proximity to the CrossPlex has been beneficial since the state-of-the-art complex opened in 2011. The Bulldogs have enjoyed being able to compete closer to home during the indoor season while also being able to compete in more events, according to Head Coach Rod Tiffin. The opportunity to host the NCAA Division I Indoor Track and Field Championships speaks volumes about the reputation of the quality of service that the CrossPlex staff and Samford has provided in hosting past events such as the SoCon Indoor Championships, Tiffin added.